This is an advanced algorithm designed for companies moving data from Outlook data file(.pst) into Exchange server. It can be used to migrate mailboxes using just the SAM ID to authenticate accounts. The tool asks for a mailbox nickname. It is used to map an identical username in the domain’s Active Directory. After locating the account moves the PST data directly into it. The software is designed to move the entire content of the .pst file into the server’s public folder. This includes emails, contacts, calendar, tasks, notes, journal and other mailbox items. 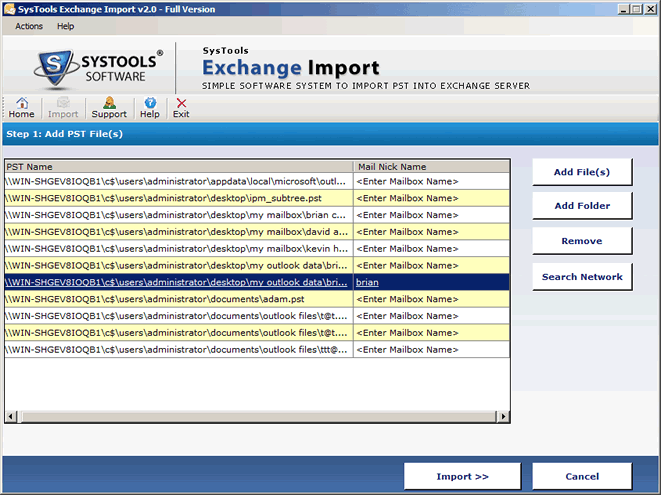 There are no changes made to metadata after importing PST file into Exchange 2013 mailbox. 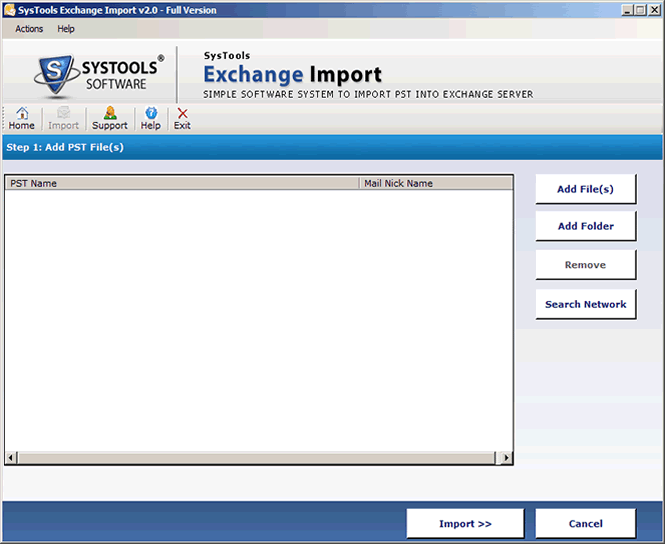 The application can import PST to Exchange Server in bulk. It has two available options to choose from: ‘Add File’ and ‘Add Folder’. The first can be used to load a single file one at a time. The other can be used to import a complete folder with different PST files. There is another facility to locate all the data files stored on the local network. 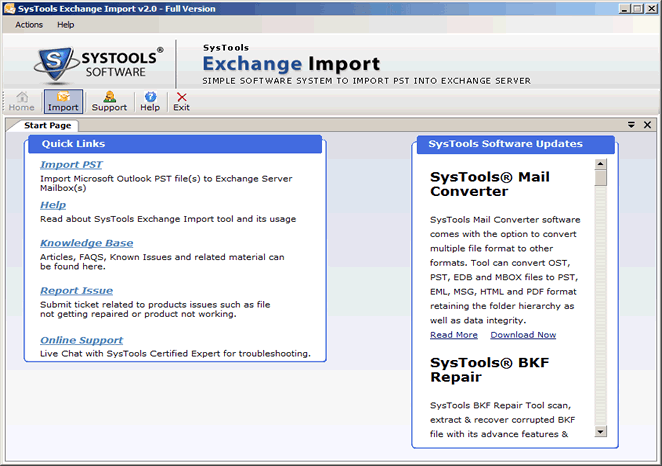 The Outlook to Exchange conversion software requires the administrative credentials to scan all the systems. One can further simplify the search by mentioning the drive name. All the available PST files will be listed with attributes. The program displays each data file with corresponding properties like name, machine name, path and size. It is up to the user which ones will be uploaded to Exchange server. There a box before each to select/deselect PST files from the transfer. There is no data loss or changed during migration. The utility uses the SAM account name to directly move Outlook data file contents to a user account. By providing a mailbox nickname, the tool searches for similar ID in the active directory. It then maps the accounts and transfers the PST file into it. For this, the system must have AD active with an Exchange server environment. There is a live status of conversion displayed with the name of the PST file and each item count. 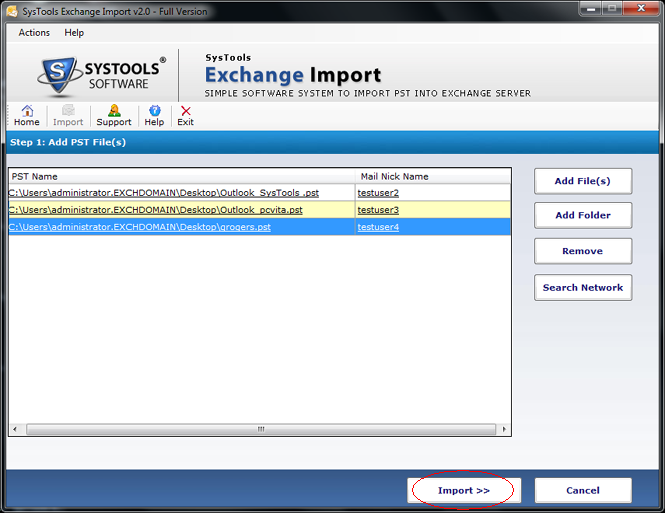 There is another log created at the end of the transfer by the Exchange Import tool. It contains the same information about each successful item moved and .pst file name. This report can be saved to desktop in CSV format for future reference. 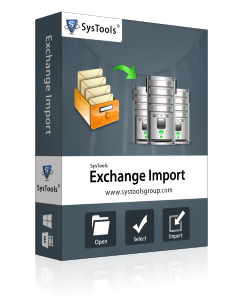 Exchange Import Tool is a perfect tool to carry out the import process of PST to Exchange Server in live environment but in order to provide better results we provide you with manual steps to carry out the task of import without affecting any details. Microsoft Outlook should be installed & configured with a valid profile (not configured for Exchange). Import PST to Exchange begins. What versions of Outlook are supported by the utility? The software can work with all the latest versions 2016 and below one for both 32 and 64-bit applications. Are ANSI type PST files supported by the tool? Yes, the program is designed to work with both ANSI and UNICODE-type files. What are the steps to import PST file from Outlook 2013 to Exchange public folder? Then, follow the Wizard to add a data file with .pst extension. Then, upload the PST to the tool. Click on ‘Import’ to move data from Outlook to Exchange 2003, 2007, 2010, 2013. How to check the version of Outlook client on Windows PC? This can be checked by going into Outlook>>File>>Help. It must be mentioned under ‘About Microsoft Outlook’. It is an amazing product! It helped us migrate a lot of .pst file into the Exchange server. It provided accurate results within spam of just minutes. There was no complicated buttons or features. All can be done with just a click of a few buttons. User-friendly graphics and simple functionality enable me to buy the product. I wanted to move some of my important emails to pub.edb file. I was not sure how to go on about it. I did not want to contact my IT team and log-in a request for such a simple task. I tried this Exchange Import utility. 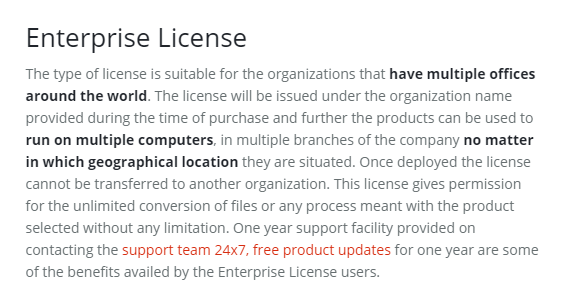 I downloaded the free version which was had no promotions or malware that could harm my system. It helped me a lot. Thanx!